Modern-day cosmetic dentures have improved in comfort and esthetic appeal to dispel the long-standing view of dentures as chunky and fake-looking. Today’s cosmetic dentures fit so well that it’s possible those around you are wearing dentures but you’re not able to tell just by looking. Cosmetic dentures are suitable if you have lost all or most of your natural teeth. Most cases of tooth loss are a result of old age, though there are many cases of accident-related tooth loss. If you have missing teeth in your young age, dentures can be specially designed for you to keep your cheeks and lips well-supported reducing wrinkling and a sunken appearance. Dentures are designed to look like and act like natural teeth and gum tissue. They are made from acrylic, and shaped using ultra-modern techniques to mimic real teeth. Acrylic is durable and is stain resistant. If you take good care of your dentures, they will look fresh for many years. When you have a few teeth missing, you can be fitted with partial dentures that are designed to clip around your existing teeth to stay in place. With good design techniques, the clips will not be visible and the dentures will be comfortable and inconspicuous. Good denture-design will also ensure that the clips will hold down the dentures firmly to avoid causing damage to your gums. 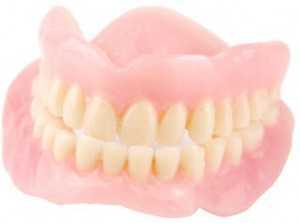 Poorly designed dentures will strip the gums from your teeth due to prolonged rubbing. Though ultramodern denture designs come at a higher cost compared to older, traditional dentures, you will eliminate the resulting damage that comes from wearing traditional dentures. Acrylic is breakable. For your dentures to last, you should do the following to take care of them. A lot of dentures break as a result of being dropped into the sink. To avoid this, before you take your dentures out to clean them, fill up the sink with water about halfway to the top. You can also fill up a bowl with water and place it in the sink before cleaning. This way, if you accidentally drop your dentures, the water will protect them from cracking against the hard surface of the sink. Though your dentures are tough and strong, if they fall from a high surface, they could chip or become damaged. Normal toothpaste can be abrasive on the material used to make dentures. To clean your dentures, use denture cleaner which will effectively remove the layer of biofilm that forms over them. Biofilm turns to plaque if not removed, therefore removing it is key to ensuring durability and a fresh look. It’s important to schedule regular visits to your dentist to ensure that your gum tissue stays healthy. After you’ve been fitted with dentures, you’ll need to visit your dentist a few times so that he can check that they fit properly. Loose dentures are likely to fall off while overly-tight dentures are likely to cause damage to the tissue and your teeth. Make sure your dentures are stored properly to prevent infection.